"Father, if you are willing, remove this cup from me; yet not my will but yours be done"
Peace be with you! We are still in shock from the brutal murder of the four Missionaries of Charity and 12 collaborators in Aden on March 4. We pray for the repose of their souls. At the same time we implore the four martyrs to intercede for Yemen and for the whole Middle East that peace may come and violence cease. Since March 4, Father Tom Uzhunnalil, a Salesian priest, who has been serving in Yemen for several years, has been missing. Since the day he was kidnapped we do not know what has happened to him or where he is. There is still hope that he may be freed. As we are celebrating the Passion and Resurrection of Our Lord, I ask all of you to pray for Father Tom, especially during the adoration hours on Maundy Thursday after the celebration of the Last Supper Mass. United with Jesus, with Father Tom and many others who are persecuted we pray: “Father, if you are willing, remove this cup from me; yet not my will but yours be done” (Luke 22:42). We pray that the same angel who comforted Jesus may give strength to all who are in danger and strengthen them in the hours of darkness. I wish to express my solidarity and compassion with all who are affected by the events in Aden: the family members, the Missionaries of Charity, the Congregation of the Salesian Fathers, and not least the patients of the home and the few Christians remaining without a shepherd during this time of trial. We pray for the conversion of the evildoers and make our own, the prayer of Jesus on the cross: “Father, forgive them; for they do not know what they are doing” (Luke 23:34). We believe that Golgotha is not the end. Jesus is the Christ, the Risen Lord who lives and reigns forever. In Him I wish you all a very Happy Easter. 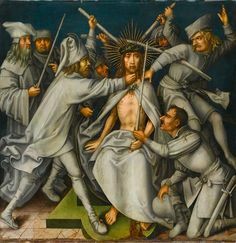 "...And when the thorns, by the pressure of their hands alone, could not be made to penetrate deeper in that divine head which they were piercing, with the self-same reed, and with all their might, they battered down that barbarous crown: And spitting upon Him, they took the reed, and struck His Head. O grateful thorns, do you thus torture your Creator? But what thorns? what thorns? You, ye wicked thoughts of mine; it is you that have pierced the head of my Redeemer. O, my God! how the blood is now streaming down from that pierced head over the face and the breast of Jesus! But no; these men for whom Thou art suffering have not yet their fill of torturing and making game of Thee. After having thus tortured Thee, and dressed Thee up as a mock king, they bend their knee before Thee, and scornfully address Thee: Hail to Thee, O king of the Jews. And the, with shouts of laughter, they deal out more blows upon Thee, thus rendering twofold the anguish of the head already pierced by the thorns: And bowing the knee before Him, they derided Him, saying, Hail, King of the Jews, and they gave Him blows. Do thou at least go, O my soul, and recognize Jesus for what He is, the King of kings, and Lord of lords; and return thanks to Him, and love Him, now that thou beholdest Him become for love of Thee, the king of sorrows..."
..."'They apprehended Jesus, and bound Him." O amazement! A God bound as a criminal by His own creatures! Behold, my soul, how some of them seize hold of His hands; others put the handcuffs on Him; and others smite Him; and the innocent Lamb lets Himself be bound and struck at their will, and says not a word: 'He was offered because it was His own will, and opened not His mouth. He is led as a sheep to the slaughter.' He neither speaks nor utters complaint, since He had Himself already offered Himself up to die for us; and, therefore, did that Lamb let Himself be bound and led to death without opening His mouth. They bring Him up before Caiphas, who is pleased at seeing Him and asks Him about His disciples, and about His doctrine. 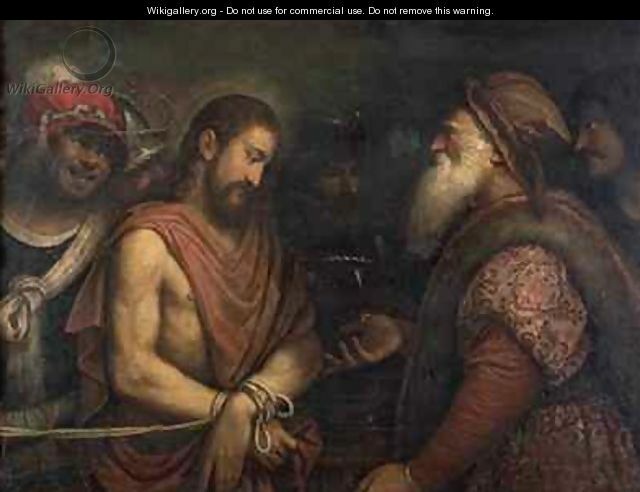 Jesus replies that He has spoken openly...'Behold, these (the Jews) know what I have said.' But upon this reply, one of the officials of the court gives Him a blow in the face, saying, 'Dost Thou answer the high-priest so?' But, O God, how does a reply, so humble and gentle, deserve so great an insult? Ah, my Jesus, Thou dost suffer it all in order to pay the penalty of the insults that I have offered to Thy heavenly Father. 'What more need have we of witnesses? Behold, ye have now heard His blasphemy; what is your opinion? And they unanimously replied, He is guilty of death.' And then, as the Evangelists relate, they all began to spit in His face, and to abuse Him, and slapping Him with their hands, and striking Him with their fists; and then tying a piece of cloth over His face, they turned Him into ridicule, saying, 'Prophesy to us, Thou Christ; who is it that smote Thee?'...St. Mark writes, And some began to spit upon Him, and to cover His face, and to deal upon Him blows, and to say to Him, 'Prophesy. And the officers did smite Him with the palms of their hands.'"